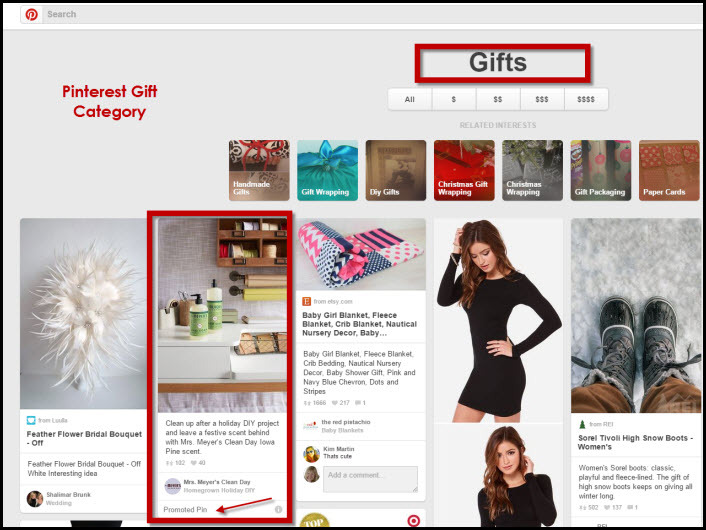 Pinterest Promoted Pins are THE hottest topic in ecommerce marketing this year. Promoted Pins are bringing a new level of visibility and sales to ecommerce products this holiday season. “Lisa, this is pretty darn exciting. After learning from you how best to phrase my keywords in my Pinterest promoted pin ads, I reworked them on a single product (it only had 1 or 2 clicks at best). In about a weeks time, I am up to 64 clicks — since it is a holiday item it was time to get a little more traction. It has gone from a good seller to a best seller! However, Pinterest Promoted Pins are so new, most people don’t understand how they work and how they can benefit your business. Let’s discuss in today’s blog post. 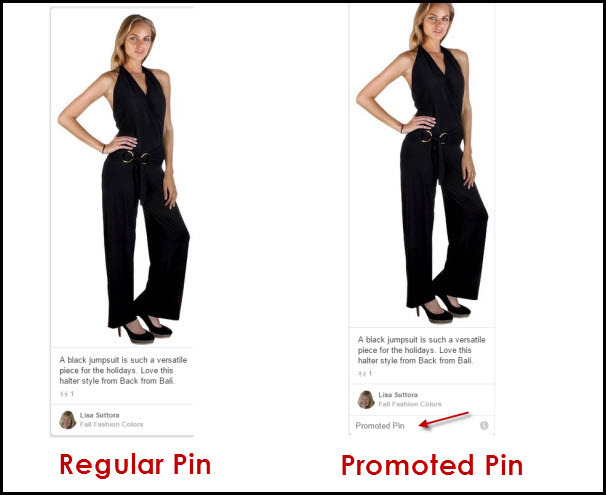 The first step in using Promoted Pins is to understand what they are and how they’ll benefit your business and increase sales. And there’s more to this than anyone (including Pinterest) is talking about. A Pinterest Promoted Pin is essentially a paid ad on Pinterest. Taking a “regular” Pinterest Pin and turning it into a paid ad. You’ll recognize a Promoted Pin because it’s labeled as such in the bottom left hand corner of the Pin. At this time, Promoted Pins are not found in the Home Feed (the news feed that you see when you first log into Pinterest). There is a lot of incorrect information about this being bandied about on the web. 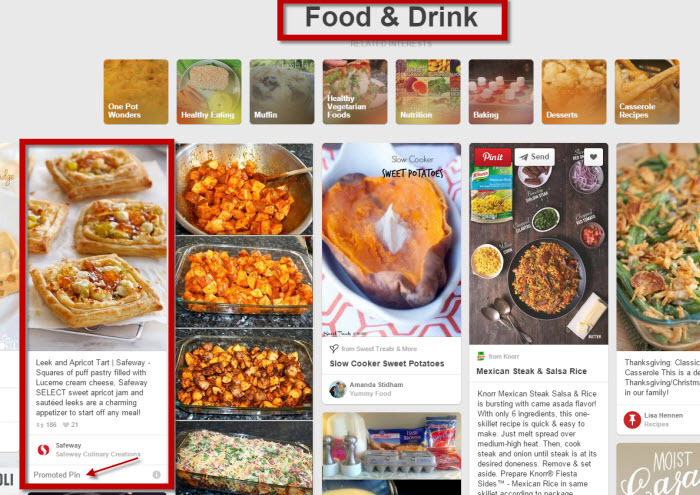 Related Pins are shown in your Pinterest Home Feed (Pinterest serves these up at their discretion). Related Pins and Promoted Pins are two different things. Also, your Standard Pin will show up in your newsfeed as a regular Pin normally would. Even if you have promoted it. There are 5 core ways that Pinterest Promoted Pins can increase your sales (six if you sell on Amazon). 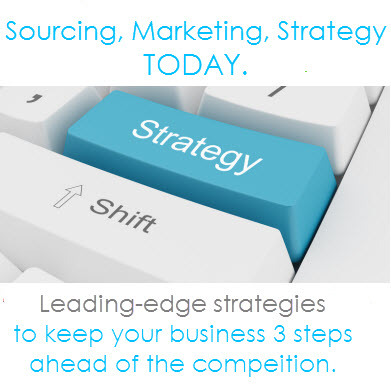 Drive click-throughs on your Pins over to your products on Amazon, Ebay, your website. Understanding the purpose of your Promoted Pin is key to deciding what Pins to promote and what keyword phrases you want to optimize the Pins for. An added benefit for Amazon merchants is the more traffic you send to an Amazon listing, the more that listing is boosted in search. Even if a customer doesn’t buy at that time, the increased traffic to your Amazon Product Page, will give your Product Page an added boost in Amazon’s search for buyers who come in through Amazon’s front door. Because Pinterest Promoted Pins is still in Beta, it’s not a super intuitive program at the moment. In fact, I’ve spent 25 hours under the hood of Pinterest, testing, tracking, and understanding how to keyword optimize Promoted Pins to get maximum visibility in search. After my initial testing of Pinterest Promoted Pins in which I cracked the code on what you must do to keyword optimize your Pins (it’s different than your standard PPC keyword optimization strategies) for maximum visibility, I applied my strategies to Kelly’s pins. Within a week, a Pin that was getting no traffic, achieved 40+ repins and 64 click-throughs to her product page, and drove her product from an OK selling product to one of her best-sellers on Amazon. This is the power of Pinterest Pins and how fast they can work to boost your sales. If you’re just getting started with Pinterest Promoted Pins for the holiday selling season, you don’t have time to test, track and figure out what works, the holiday sales are happening NOW! That’s why I’ve just added a brand new Promoted Pins video to my Pinterest for Holiday Sales that details step-by-step how to use Promoted Pins and get results. 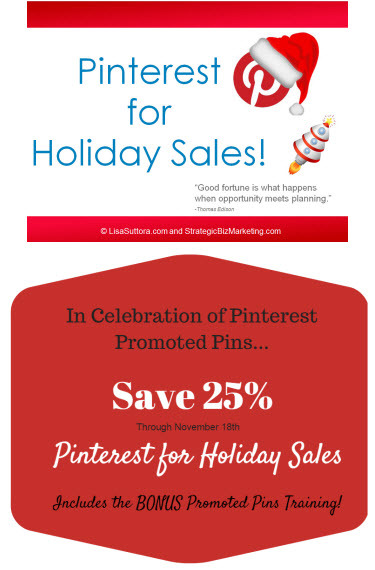 To celebrate the opening up of Pinterest Promoted Pins, you can save 25% of Pinterest for Holiday Sales through Tuesday November 18th. Have questions about Promoted Pins? Ask in the comments below! 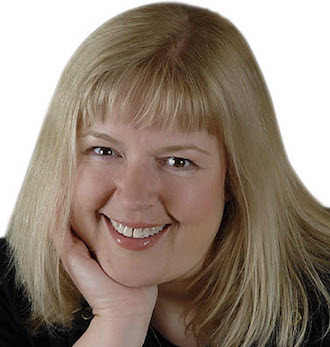 Lisa, Great content priceless information !